The International Energy Agency (IEA) World Energy Outlook (WEO) for 2016 confirms that Australian coal will continue to provide secure and reliable baseload electricity generation for fast-developing Asian nations in our region. 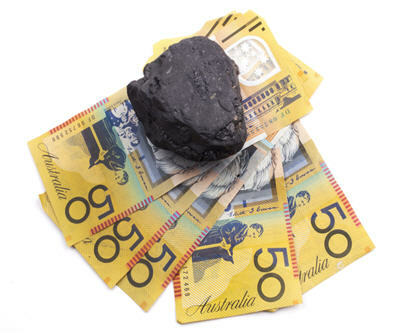 The Report confirms that Australia remains the world’s largest coal exporter, contributing more than $40 billion to the national economy. Coal’s share in the global primary energy use remains at 29 per cent, the second largest provider of energy in the world behind oil and it remains the mainstay of electricity generation providing 41 per cent of global supply. The strong economic development in Southeast Asia and India means global demand for coal will return to 2014 levels by 2020. Demand for coal in Asia will grow at 0.8 per cent per year, with Indian demand for coal growing at 3.6 per cent per year and Southeast Asia at 4.4 per cent per year. The WEO notes that Australian coal exports are forecast to increase from 350Mtce to 410 Mtce by 2040 with the Australian share of international trade growing from 32 per cent to 36 per cent. To further reduce CO2 emissions while retaining a reliable and secure supply of electricity supplied by coal, there must be a far bigger willingness to embrace new coal technologies including high efficiency, low emission (HELE) coal-fired generators and carbon capture and storage (CCS). The WEO highlights the massive increase in the use of HELE technology with 400 GW of supercritical and 330 GW of ultra-supercritical coal-fired plants being built. These plants require high quality coal to operate at their most efficient and with Australia having some of the highest quality coal in the world, our production is forecast to increase by 0.5% per year until 2040. The report notes that world is on track to meet the Paris Targets, a result that is helped by 22 nations, which account for over 50 per cent of emissions, including HELE as part of their national emissions reductions plan. Worldwide, around US$2.5 trillion has been invested in clean energy technologies in the last ten years, of which US$1.8 trillion has been on wind and solar technologies. In comparison, investment in CCS during the same timeframe amounts to around US$20 billion (or, put another way, the amount invested in other clean energy technologies has been 120 times greater than that for CCS). To reduce emissions and maintain a reliable supply of electricity that coal generates, new energy policies must adopt a more rigorous ‘technology neutral’ approach. The huge subsidies given to the development of renewables must be applied in the same manner to new coal technology.